This set includes the following colours:E49 / E57 / E77 / E93 / E95 / W-1 / W-3 / W-5 / W-7 / G85 / G94 / BG49 / BG96 / B45 / B93 / B95 / B97 / E43 / R37 / R46 / R85 / YR68 / Y28 / Y38 / YG91 / YG95 / G28 / BV17 / BV29 / V15 / V91 / V95 / RV34 / RV95 / R17 / R35Copic Ciao is the inexpensive marker for beginners, students and hobby artists suitable for Manga, illustration and fine art. Equipped with a medium broad and a super brush nib, it can be used for any purpose. The ciao markers colours can be mixed on the surface or layered on top of each other. The ciao markers are alcohol based and therefore non-toxic. They are fast drying and will not bleed. 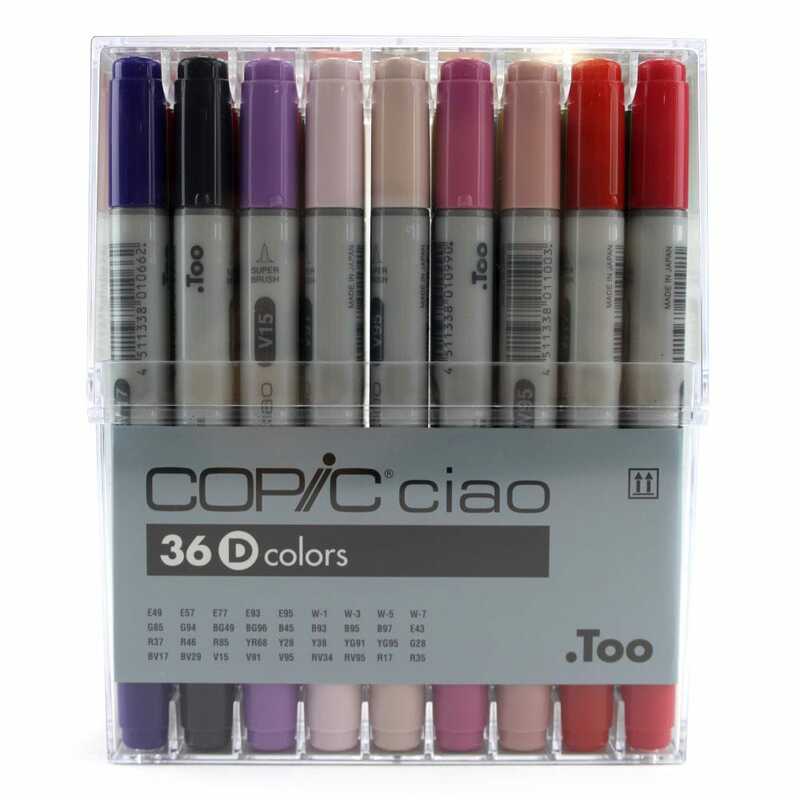 A beautiful set of blendable copic markers in a lovely variety of colours especially the blues and purples. The brush end glides very smoothly across the paper, lovely for colouring.